Family Area, including art and circus workshops. Evening Shipyard sessions – see below (under 12s free – no ticket required. Over 12s will need a ticket and under 18s must be accompanied by an adult). Weekend Gourmet Tickets – see below. Evening tickets are for The Shipyard Sessions featuring live bands from 7pm-Midnight. The festival offers a number of weekend accommodation packages within our event campsite. 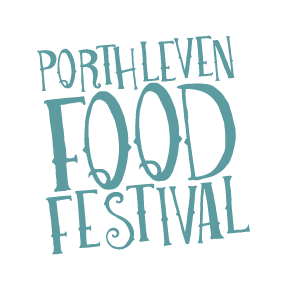 The Porthleven Food Festival campsite. With level ground access to the heart of the event. Just bring along your own tent and pitch up. Camping tickets must be purchased in advance for site planning purposes and are per person. The site includes access to showers & toilets. Kids under 5 camp free. You will be allowed 5 x 5 meters of space per camper van pitch to use for your camper van. Maximum 6 people. However, please be aware that water and electricity hook up will not be available, and that camper van tickets must be purchased in advance for site planning purposes. The perfect safe, dry place to hide at the end of the night. Where fantasy fiction meets festivals. Here’s where you can hire your shire haven of tranquillity. You will be allowed 8 x 5 meters of space per motorhome pitch to use for your motorhome or winnebago. Maximum 6 people. However, please be aware that water and electricity hook up will not be available, and that motorhome tickets must be purchased in advance for site planning purposes.